Bird Conservancy of the Rockies frequently partners with private landowners across the western U.S. to achieve collaborative conservation on working lands. 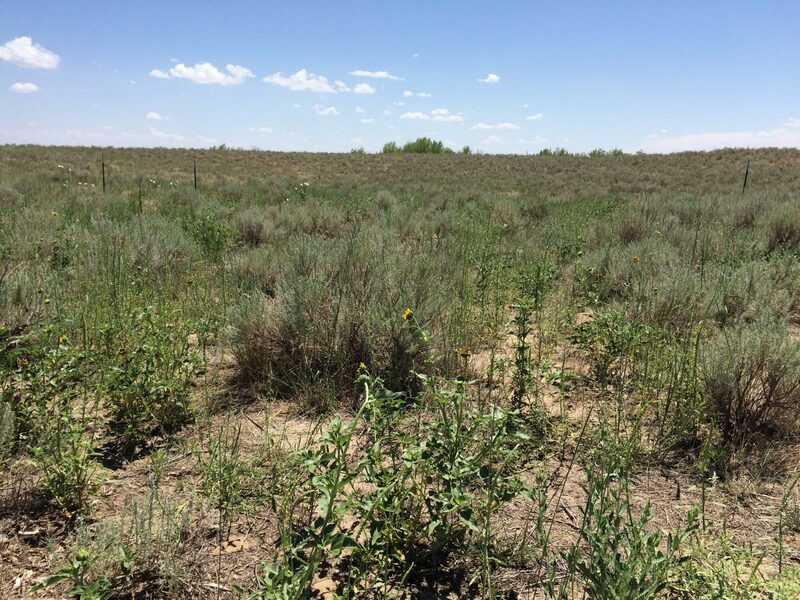 With the support of a grant from Great Outdoors Colorado, we are embarking on a new project in Morgan County, Colorado that aims to eliminate cheatgrass—an extremely invasive weed that outcompetes native vegetation, reduces habitat quality and increases fire hazards. 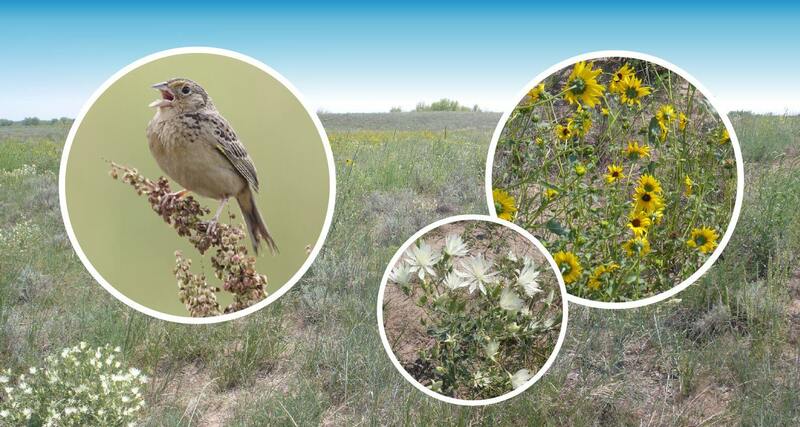 Healthy sandsage habitat includes a diverse array of plant life which supports grassland birds and other wildlife. The Little Bijou Ranch has retired from cattle production and is focusing on improving wildlife habitat across the 1000-acre ranch for waterfowl, sandsage grassland birds, and large game mammals. Using innovative products and approaches, owners David Koffler and Tate McCoy hope to eliminate cheatgrass from the property and restore the native forbs and bunch grasses that formerly carpeted the landscape. Tests have already shown success on parts of the ranch. In 2019 and 2020, 230 acres will be treated to measure effectiveness on a larger scale. By pioneering these trials, the Little Bijou Ranch is blazing a trail for other landowners in northeastern Colorado to follow in their footsteps and reap similar benefits. Cheatgrass on the Little Bijou Ranch has outcompeted many native plant species forming a monoculture on the landscape. Photo: Bird Conservancy. Little Bijou Ranch is part of the sandsage ecosystem, one of Colorado’s iconic habitats. Most sandsage habitat is privately owned. 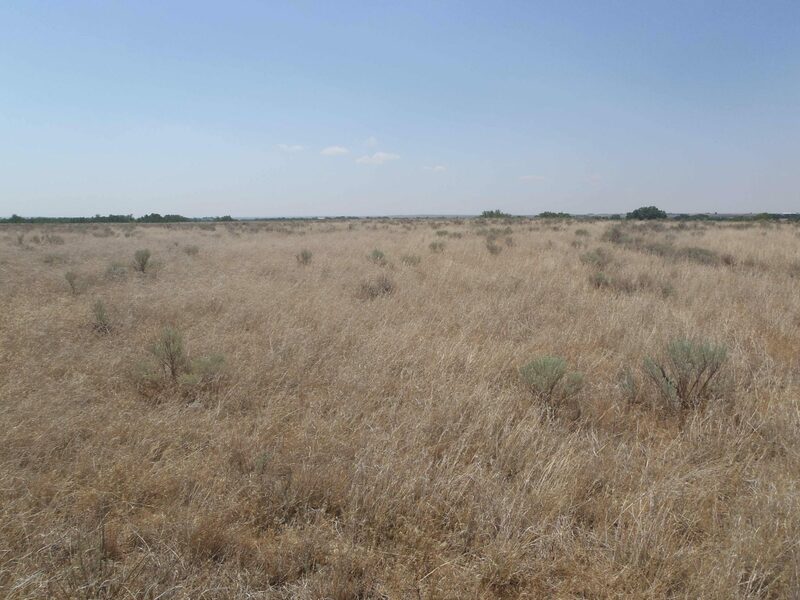 The Bijou Ranch Cheatgrass Control project aims to engage landowners and provide resources that enable them to eradicate the noxious weed and restore landscape vitality. For ranchers, this translates to more productive land that improves their bottom line. 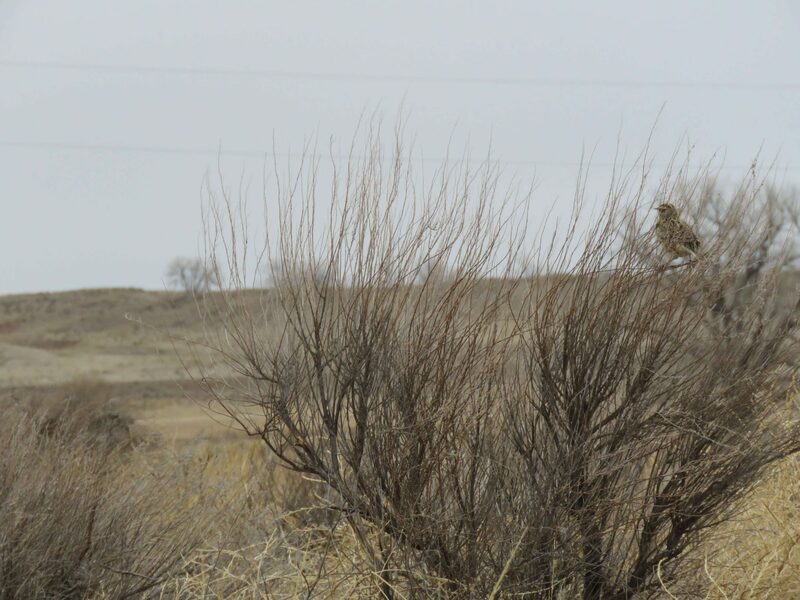 A Western Meadowlark in eastern Colorado sandsage habitat. Photo: Bird Conservancy. Herbicide applications to get rid of cheatgrass and similar weeds often destroy native grasses and other plants as well. 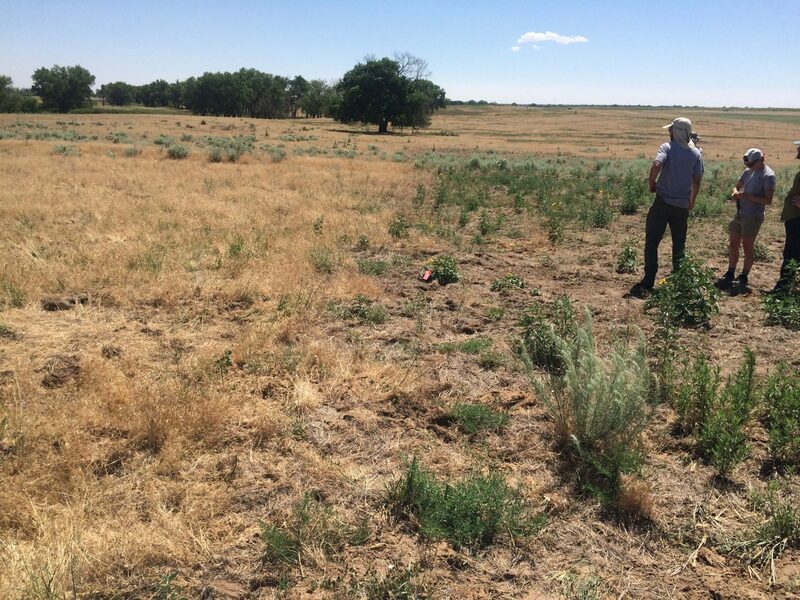 This project’s approach uses a pre-emergent herbicide product, and times the application to target cheatgrass specifically, without suppressing or killing desirable plants. Through careful application, cheatgrass’s annual seed germination can be suppressed for up to three years with one application. Unable to germinate, the cheatgrass cannot take up sunlight, space and water needed for other plants. Similar approaches have shown promising results in tests conducted by Colorado State University, Boulder County Parks and Larimer County Department of Natural Resources. Esplanade treatment results at the Rocky Mountain Arsenal in 2018. (Right) Elimination of cheatgrass and increase in forb growth along with the control (Left). Photo: Bird Conservancy. Across the country, cheatgrass has invaded over 50 million acres and continues to spread at an alarming rate. The weed is estimated to have infested over 100,000 acres in Colorado, contributing to an estimated $14 million annual cost to agricultural, wildlife and recreational interests. [i] Click here to learn more about why cheatgrass is bad news! Post-Esplanade treatment on a test plot on the Little Bijou Ranch. The increased forbs and bare areas will provide valuable forage and escape cover for grassland birds. Photo: Bird Conservancy. This project is a collaboration between Bird Conservancy of the Rockies, the Natural Resources Conservation Service and Ducks Unlimited, with funding from Great Outdoors Colorado and the Bijou Ranch. Great Outdoors Colorado (GOCO) invests a portion of Colorado Lottery proceeds to help preserve and enhance the state’s parks, trails, wildlife, rivers, and open spaces. GOCO’s independent board awards competitive grants to local governments and land trusts, and makes investments through Colorado Parks and Wildlife. Created when voters approved a Constitutional Amendment in 1992, GOCO has since funded more than 4,700 projects in urban and rural areas in all 64 counties without any tax dollar support. Visit GOCO.org for more information.